You probably don’t think about pipes very often. That is, unless you are in the business of setting them. And yet pipeline infrastructure is fundamentally vital to our society and its everyday function. It is through these complex systems of pipeline that the supply of natural gas flows in a business, in a city, and across state lines. If you own a business in El Paso, commercial gas lines are something you have to consider at some point or another. 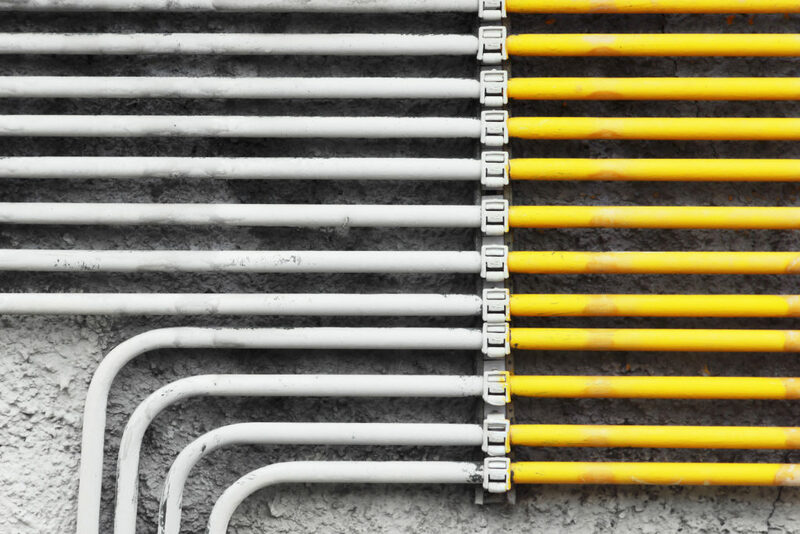 The United States has the largest network of pipelines in the world including 1.5 million miles of natural gas pipelines, and so we thought we’d take a minute to think about pipes. There are different kinds of pipelines that take the gas from the source to the point where they are used. They are often of different widths, lengths, and materials. Over the years the different pipes have been made from different materials based on advancing science and technology of the time. So their materials often depend on the time when they were first set. Gathering pipeline systems that gather the raw natural gas and transport it to cross-country transmission pipelines. Transmission pipeline systems then transport the natural gas across the United States. These pipes used to be made of cast iron, but they are typically made out of steel because of its strength and flexibility and are large in diameter and cover more than a quarter-million miles within the United States. Natural gas distribution pipeline systems are found within our cities, communities, and distribute gas to homes and business all across the United States. During the past thirty years plastic has been used for most natural gas distribution pipes. Plastic can be flexible, corrosion-resistant, easy to transport and costs less to install. Our local businesses and residential areas get their gas supply from local distribution companies and lines. All of these pipeline systems compose the intricate pipe system across the United States that if viewed as a map would show a complex web of crisscrossing lines meshing like deep blue veins beneath the soil. The lines that travel from the gas meter to your building are your responsibility. It is important to keep your commercial gas lines maintained and in good condition. Otherwise, the problems can compound and become more complicated while affecting your business, your customers, and your good name. This is why you want trusted technicians maintaining, checking, and repairing your gas lines. Owning a business is hard work and that’s why Wyler Industrial is here to help maintain the integrity of your commercial gas lines so that you can focus on doing your business right. Next PostNext Do I Need a Pressure Piping System?